Generating leads and getting visitors convert into customers is the most essential step in online business growth. Everything else is secondary: You can get thousands of visitors a day and have as many conversions as your competitor’s website that converts 50% of their 100 clicks a day. So how to generate more leads and increase your conversions? Let’s discuss!
. 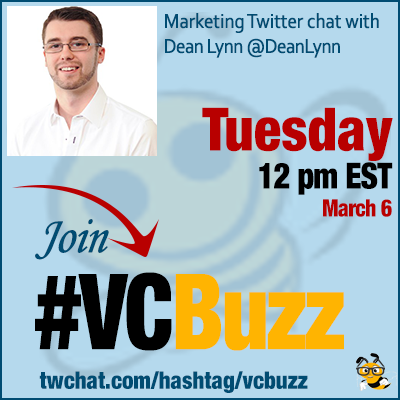 @DeanLynn is digital consultant, marker, speaker and business growth hacker with 12+ years of experience in online marketing. Q1 How did you become an digital marketer? Please share your career story! I think the short answer is Digital Marketing found me, at the age of 15 is where i started creating online browser based games, from there I started to understand the power of organically ranking in Google search. Q2 What’s your favorite conversion optimization tactic? My first rule when working with clients on improving their conversions is asking the question “What do you want me to do?” 9/10 the first quick win is adding a simple call to action like a form to the page. Simple, but many clients don’t have them. Q3 What are the most frequent lead generation / conversion optimization mistakes you see business make? Always start with a strategy, understand you audience, what they do, where are they hanging out. Then generate content that they will engage with. What I call “Content with Purpose”. Time and time again to many people just generate content with no purpose, hence very little pick up. Email popups are a great way to generate leads, but they need to show at the right time and add value! else your right the video sums up how annoying that is. Q4 What are your favorite courses, resources and guides teaching business creative lead generation / conversion optimization tactics? There is loads of courses and material to read I heavy recommend downloading these resources. You beat me too it, a fantastic resource to reference! What you got to remember is Guesses, hunches, and gut feelings is bad practice! Q5 What are your favorite lead generation / conversion optimization tools? Another one used on different campaigns growthfunnel.io. Due to me being dyslexic, I think this helps me look at the forms of content in a new way! Love this. I’m currently in alpha testing of a new tool we are creating that is attached to forms to help enhance data. currently outputting an additional 100+ fields to a form with 3 fields.